Fallout 76, Bethesda’s troubled online survival shooter, received an update today that included a number of bug fixes and the addition of push-to-talk on PC. These all looked like welcome improvements, except for one small thing: the game’s “Feed the People” public event no longer gives every player on a server cans of meat stew. The change was noted underneath the quest section of the patch notes and was treated as a bug fix. “Fixed an issue in which completing the Feed the People Event Quest granted Canned Meat Stew to all players on the server, rather than only the quest’s participants.” The fact that the quest’s original payout was unintentional caught a number of players, including myself, by surprise. “Didn’t realize this was a bug, thought it was a fun community thing they added,” one commenter on the game’s subreddit wrote in the official thread outlining the new changes. Their comment now has more upvotes than the thread itself. It has become a rallying cry of sorts for Bethesda to, essentially, re-break the event. Fallout 76 has a bunch of event quests that occur every so often and are open to being completed as a team by anyone on the server. Feed the People revolves around defending a food processing plant from Scorched and robots while it creates canned goods. While the players who participate in the event get XP and some items, previously anyone else playing on the server, no matter where they were in the world, also got cans of meat stew. Meat stew combats hunger, increases health, and, most importantly, gives the player an hour-long 5% XP bonus. Everyone getting stew made sense within the game’s playful, post-apocalyptic fiction. 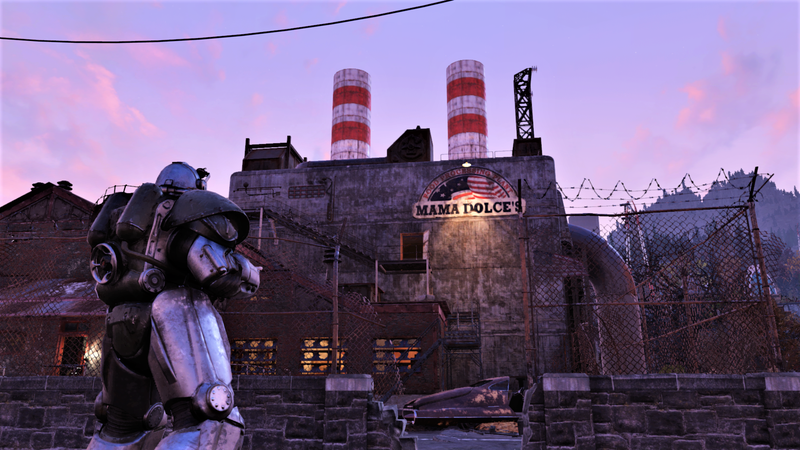 Fallout 76 players were getting the food processing plant back up and running to “feed the people,” so if they were successful, the people, i.e. other players, got fed. In an online multiplayer game where communal interactions are few and far between, these server-wide gifts helped the game feel slightly less lonely. Fallout 76 players across the game’s official forums and also on Twitter seem to be pretty much in agreement that the game needs more things like the Feed the People glitch. “Please unfix ‘Feed the People’. Rewarding the whole server was a nice gesture,” one person tweeted at the Bethesda Support account. Meanwhile on the subreddit, thread after thread about the event continues to get posted and upvoted. Clearly, the people are hungry. The only question now is whether Bethesda will start feeding them again.